MINNEAPOLIS — Yes, the narrative of Joe Mauer‘s career was missing a championship chapter. That plotline stalled for a few years while the star was set back by injuries. 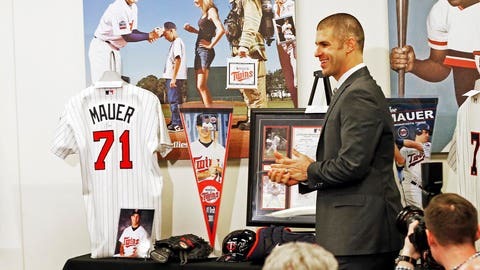 “You helped keep me grounded and never let me forget my roots,” said Mauer, who began honing his skills at the sandlots and rec centers of St. Paul, less than 10 miles from the big league ballparks in Minneapolis he first began playing in at age 20 to open the 2004 seasons. “There were a lot of great options out there, but I’m so thankful you had the confidence in me, and it means more to me than you’ll ever know,” Mauer said. “I knew what it was like for me, and it was times 100 for him,” said Perkins, another Minnesota native who spent his whole career with the Twins.